Tony Jansen from TerraCircle joined the MFFN partners for a meeting in Vanuatu on the 15th to 17th April 2009. The network partners met in Port Vila and reviewed the progress of the network since the Wewak, PNG meeting in October 2007. 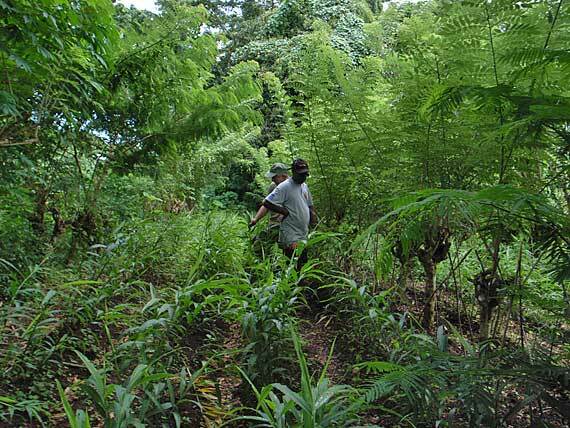 The network coordinator and network partners from Vanuatu and Solomon Islands found that the network is still alive and there have been many positive benefits of the network – although often poorly documented. The partners decided that management of the network needs to be strengthened through more involvement of the management committee in overseeing and making decisions about the network. Partners in PNGs southern highlands and Bougainville were unable to attend and the network has decided to send a team urgently to Bougainville to work there with the local partner in the mountainous Avaipa district. The partners developed a plan for the next 12 months of the network. 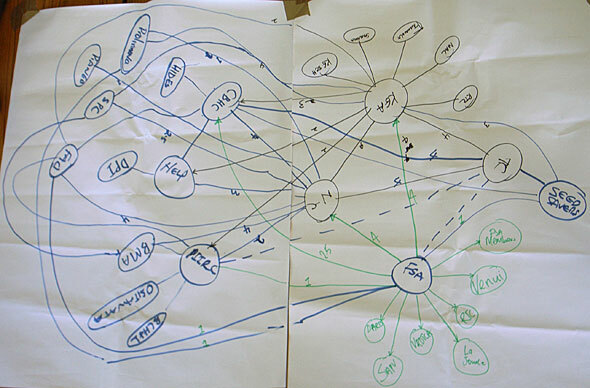 This was done after using a number of analysis tools including empowerment evaluation and network diagrams to assess how the partners feel the network is progressing. Partners used network diagrams to score the strength and weakness of different relationships within the network. MFFN is supported by Oxfam Australia and APHEDA. TerraCircle is a member of MFFN and assists with some technical support to the network.